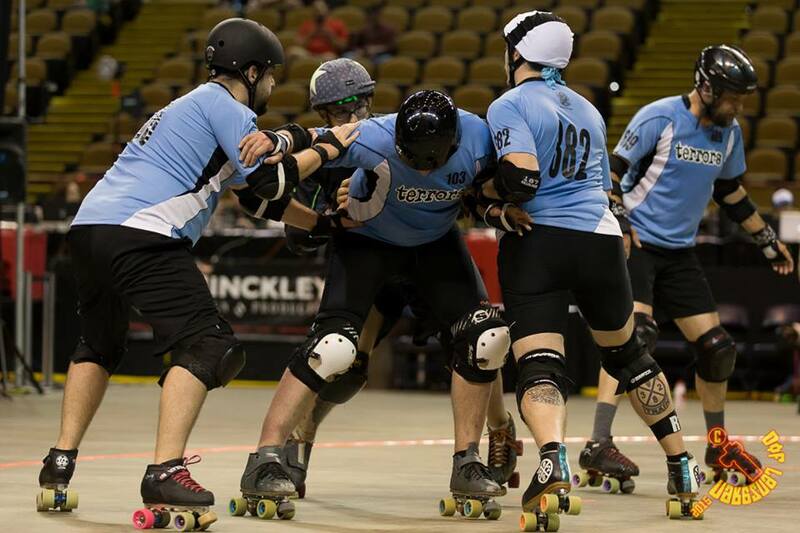 It’s that time of year: we are less than a week away from the MRDA Championship in St. Louis: River City Rumble. I have taken on the task again of giving the derby world a look at what the can expect this weekend. With the expansion of the tournament to 10 teams, my task this year is more daunting than ever before. I will do my best to keep each article even in length. It will depend on how much I know about each team, though. You have been warned. Your 10 seed is here by (for them) fortuitous circumstances. The Twin City Terrors are actually ranked #14, but due to a variety of reasons the #10-#13 declined the invitation to Champs. Having done a lot of research for predictions before the rankings were released, I can say that (according to math) TC is as good of an opponent as any that declined. I do not think they will be a dull team to watch. This team is no stranger to tournaments, having played in two every year for at least the last three years. This year they had a particularly daunting tournament schedule: 3 tournaments: Midwest Brewhaha, Rolling Along the River, and River City Warm-Up. They lined up 7 times this year against top 8 teams including playing the Gatekeepers and Texas Outlaws twice, and also Bridgetown Menace, Puget Sound, and Your Mom on top of an additional 5 sanctioned games. Since TC obviously has had Champs on their mind, this highly challenging season had to be chosen by design for solidification of team work and to test nerves under pressure. They’ll need that experience for champs: they meet the Bridgetown Menace again in the first round, and the winner will play the Gatekeepers. The loser will play the loser of the Magic City/Aftershocks bout. But who ARE the Twin City Terrors? They are a team that has the potential to play like Shock Exchange, as long as they keep up their training and focus. Their walls can grind down jammers when the game is slow, they have far better bracing and positional blocking than I was expecting when I sat down to watch Brewhaha footage. 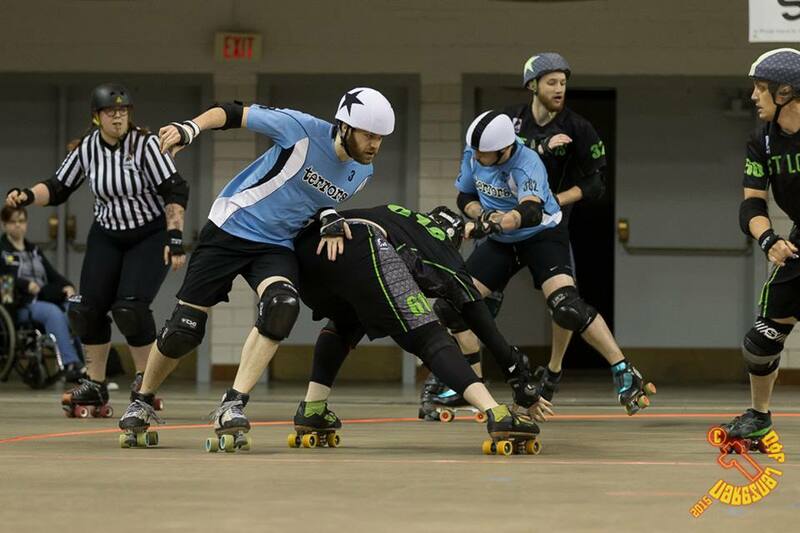 In a sport where players love looking jammers in the eye, Twin City looked as comfortable plowing a jammer to stop as they did tossing a backwards block at them. If there is anything I have learned from watching the WFTDA playoffs this year is that the difference between a good team and a great team comes down to their ability to plow stop. 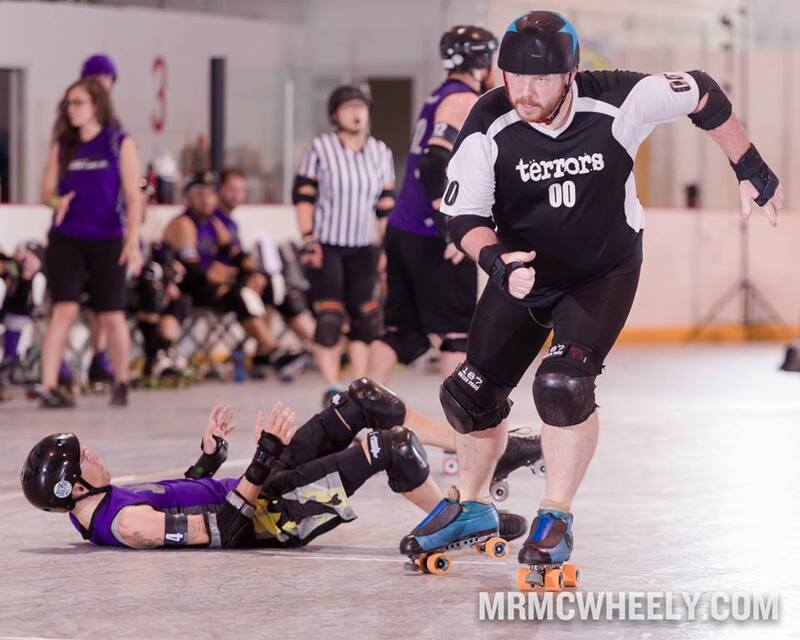 If Twin City can take a note from their WFTDA counterparts and begin to really ratchet down their speed control and recycling, they’ll be in good shape. TC has been working on their “Great Wall of St Paul”. Photo by Ryan Siverson. 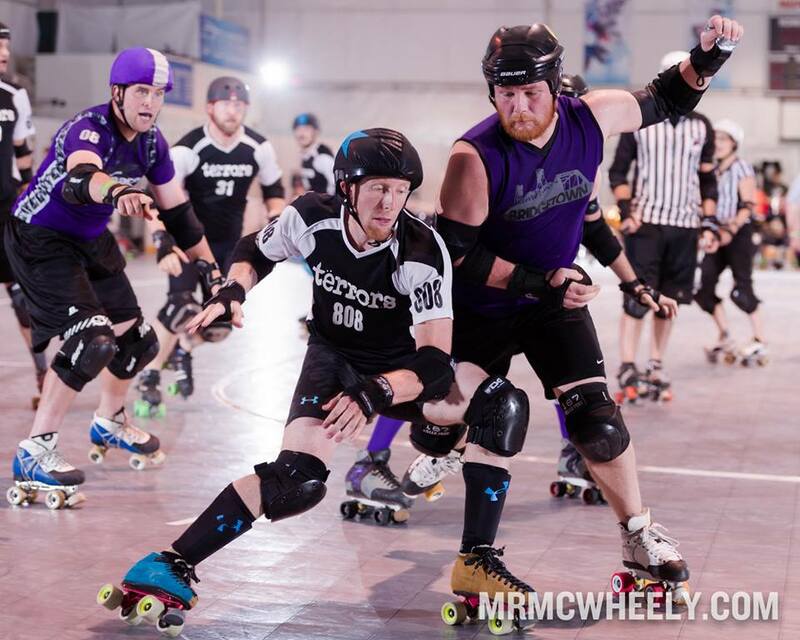 In both their Texas and Puget games at Brewhaha, Twin City came out strong with slow walls, coordinated offense, and a protection of the lines that slowed down Scott Slamilton and Dr. Feelgood. Steve Sweat #808 and Egon Strangler #42 are impossibly fast at the top of the pack. Often they can catch jammers who have a head start, and knock them out of bounds before the end of the engagement zone. At the same time, Timchilla #3 (whether as pivot or jammer) has ridiculous fast feet, and was able to take advantage of the offense given. 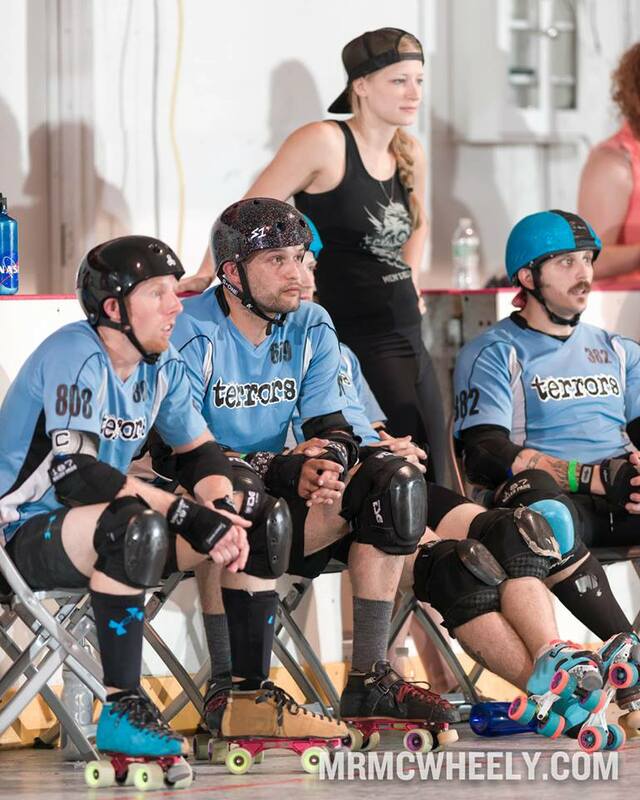 Derby Monster #00 and Freight Train are the bruisers of this team that also moonlight as seriously effective jammers. In the tournament I watched, jammer penalties (cuts primarily) killed the momentum of a team with many weapons in their tool belt. If Twin City can keep calm and keep their packs together, they’ll do well this weekend. Their blockers are strong, they just have a tendency to get split up when the game gets fast. If they can use what they learned from playing Puget Sound at Brewhaha and apply a pack definition strategy to keep the game slow and at their pace, they will do well. “The Great Wall of St Paul” is what coach Betsy Wrecksie calls it: working together to remove speed from the game and control the other team’s position. Twin City has had the advantage of Wreckie’s experience this season, she was formerly Minnesota All-Star’s head coach in 2014. She knows how to help a team gel. Baron von Bean #609, Luce Wheel #103, Jamnit Dim #31, and Sampson #66 are the guys you put out to glue the walls together. You may not always notice them, because they are quietly holding their team mates use them as the rock to form around. Recent transfer Ogden Smash #64 will only add to the solidity of walls, being a very smart strategist and very effective at getting in the opposition’s way. Timchilla does the near impossible in this photo: getting around Bled Zepplin. More proof that the team has the talent for success. Photo by Ryan Siverson. Bridgetown is also a ‘jack of all trades’ kind of team, so it will be fun to watch these two trade blows in the first round. If Twin City can stay focused and engaged the Great Wall and not allow the bruisers of Bridgetown to split them apart for too long, they’ll put up an excellent fight. Where Bridgetown will have a solid jammer rotation, Twin City seems to come into games a little looser. They have a deep jammer pool and tend to throw in a variety of people ‘to see who sticks’. They may need to call on the power of Freight Train to push through the likes of Cozmo Damage, but keep an eye out for rookie N8s Gonna Nate who made a big impact at Brewhaha. We’re pretty sure we’re not heading home with a first place medal as we’ve already played the one and two seeds and while it was a welcome challenge – they were pretty one sided games… If we can go as far as to beat [the Aftershocks], I think it says we were supposed to be here at champs even if we weren’t the first choice. Win or lose; we are all extremely excited to be taking part in MRDA Champs and proud to be the first Terrors squad to do so. Thank you photographers Mr. McWheely and Ryan Siverson Photography for use of photos in this article. Please like their Facebook pages and buy prints from them!